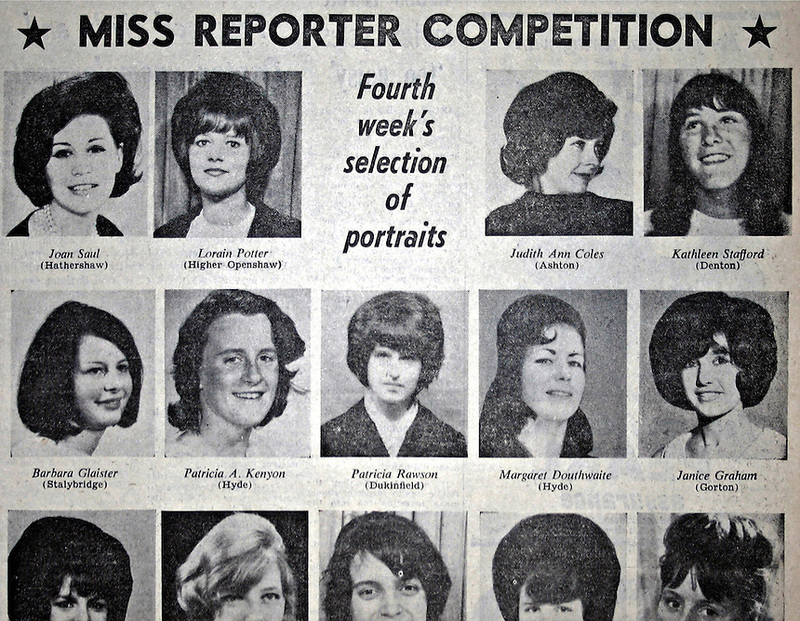 HATTERSLEY, UK - A selection of portraits of local women form part of a regular competition searching for Miss Reporter in this extract from a 1965 copy of the Tameside Reporter.. .The Hattersley Estate was created in the early 1960s to house residents displaced by the slum clearances of inner city Salford and Manchester and soon gained notoreity between 1963 and 1965 as the home to the Moors Murderers, Myra Hindley and Ian Brady. Lying in a relatively isolated area on the edge of the Pennines, residents today continue to wait for the investment and infrastructure promised to them decades ago. In the gap between promise and reality, a unique characted formed during years of adversity continues to thrive on the estate.